Time has long been a key component in one’s life. We cannot function without it. There is no better way to track all hours in a day without owning one.Collecting time pieces has been an addiction for most men and women and will be carried on until the world ends. No second thoughts on it! Watches are a flashy example of wealth and people find ways to spend money on watches. Watches are now considered a very big and safe investment and most often we all treat it as a piece of fine jewellery. They have become a must-have accessory in this modern era. People all over the world are seen sporting eye-catchy luxury time pieces.Branded watches like an Omega, a Hublot, a Rolex or a Chaumet are very popular for their own distinct syles and play a major role in defining an individual’s sense of style. 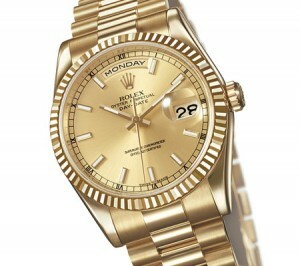 More than women, men take pride investing in a classy time piece and flaunting it for any occasion. Expensive watches always come with something extra but if you want a watch that is a keeper for good, make sure you invest in something that produces mechanical movements. Men can always team them with casual t-shirts or dressy tuxedos. Carrying off a Breitling, or flaunting a Longines or wearing an elegant chopard is not a child’s play. Playing around and mixing them with the right outfit is equally important. Most of the watch industry brands copy movements from one another and are not worried about one bit about it. Some of the brands do it with class. Piaget brand manufactures and designs the mechanical movements for most of Cartier, Ralph Lauren and Van Cleef watches, and you know what? It totally works. Piaget kicked off into the time industry as a movement maker, and it makes some exotic and very well functioning mechanical movements. It’s a shame it doesn’t get more respect in that category, but I do think that it will change with its upcoming ultrathin tourbillon. And with successful and well established brands like Cartier, Ralph Lauren and Van Cleef, it’s not a big deal to borrow a sister company’s brand movement which all are owned by Richemont. Big is always not better! Anything too funky with jazzy bezels and huge oversized dials will come and go, but a perfect medium sized IWC with a pilot crown or an extraordinary Hermes dial is something we must consider adding to our attire. Wearing metal watches crafted in rose gold, titanium or platinum will showcase your taste and class with power. 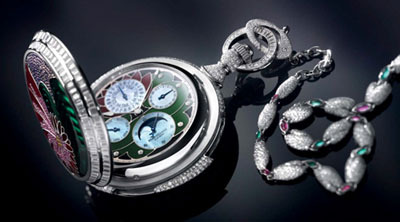 Some of the superlimited editions of watches produced by fahion houses like Chanel and Louis Vuitton are an asset and only the lucky and filthy rich ones can afford them.Most men love wearing expensive watches and take pride in spending on it as it feeds their ego and boosts their confidence. As the famous quote goes “The most important attribute of a watch that drives value is the name that is printed on the dial.” You can definitely argue whether designer watches justify the the price tags attached to them. Well, it’s a million dollar question and it totally depends on each individual and his or her lifestyle. It definitely adds a lot of style to your wrist but not to your brain. A dumbwit will always remain a dumbwit no matter what designer labels he is drowned in. You definitely dont want to be caught dead in a big dial diaplaying a Sponge Bob, a beeping alarm or a calculator. Pingback: True spirit of gifting is all your thoughts and love wrapped in a box and cherished forever.